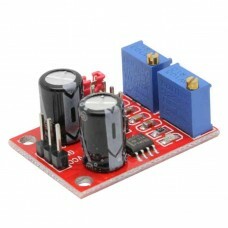 Easily provide power to your breadboard projects from a DC wall wart power supply (compatible with any of our breadboards). 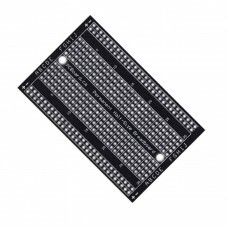 The board has dual independent outputs, allowing for 3.3v or 5v to be output on each side into the power connections of your breadboard project. 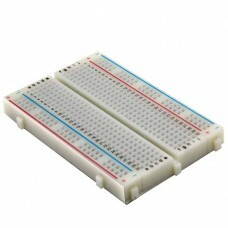 Select one side of your breadboard to have 3.3v and the other side power inputs can be 5v DC. 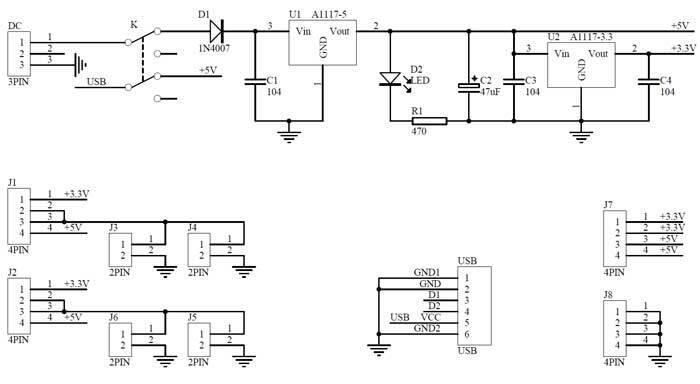 Jumpers located on the top of the board allow for the setting of the output voltages. 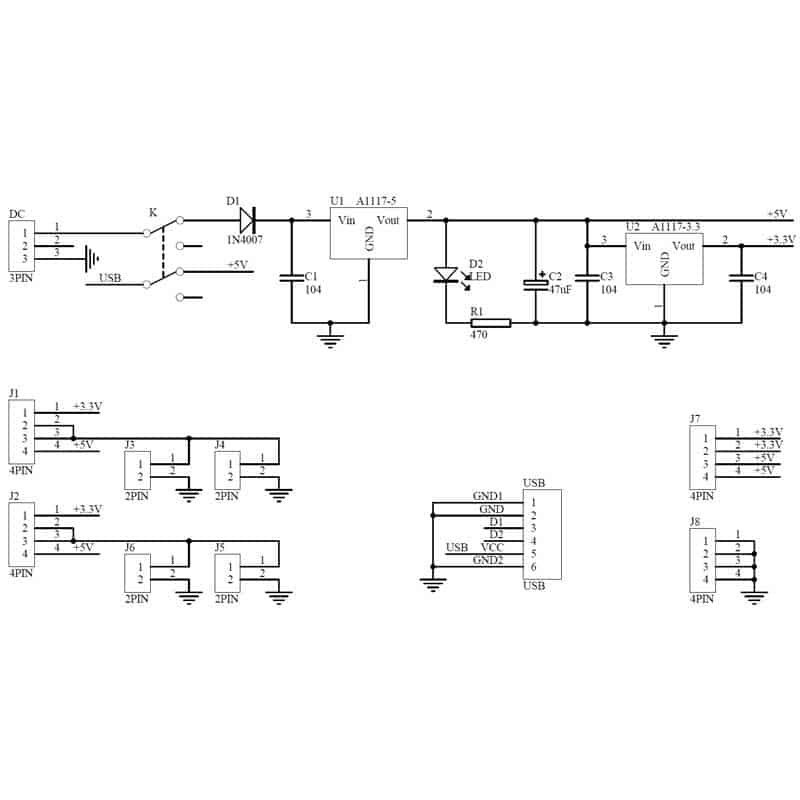 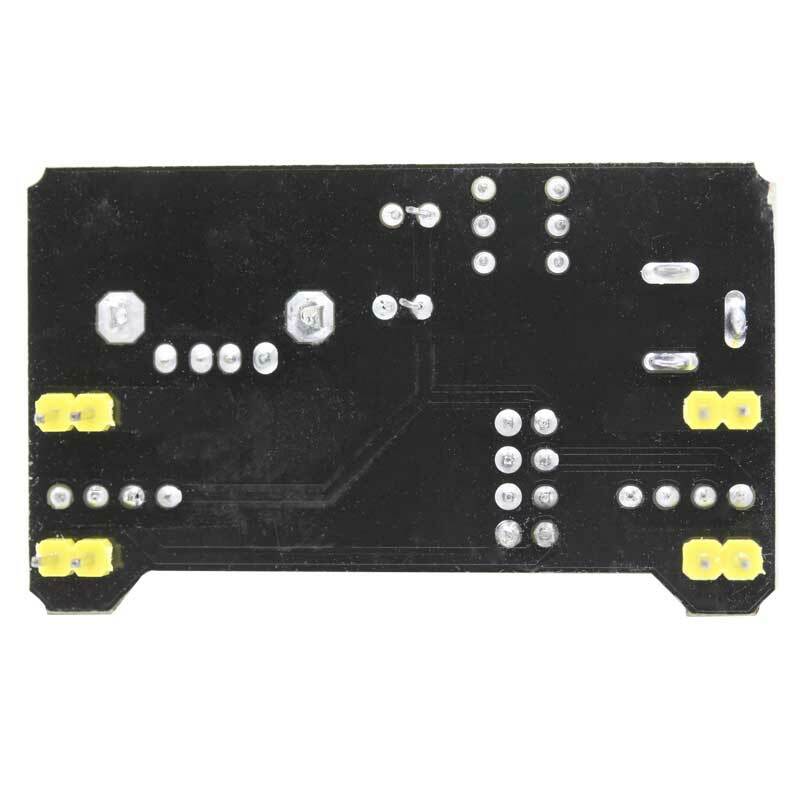 Input voltage to the DC In power connector can be anywhere from 6.5v DC to 15v DC and each output can provide up to 700mA (0.7A) of current. 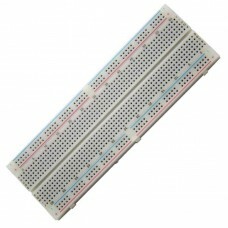 .1" headers are mounted on the bottom of the PCB for simple insertion into breadboards with dual power supply rails. 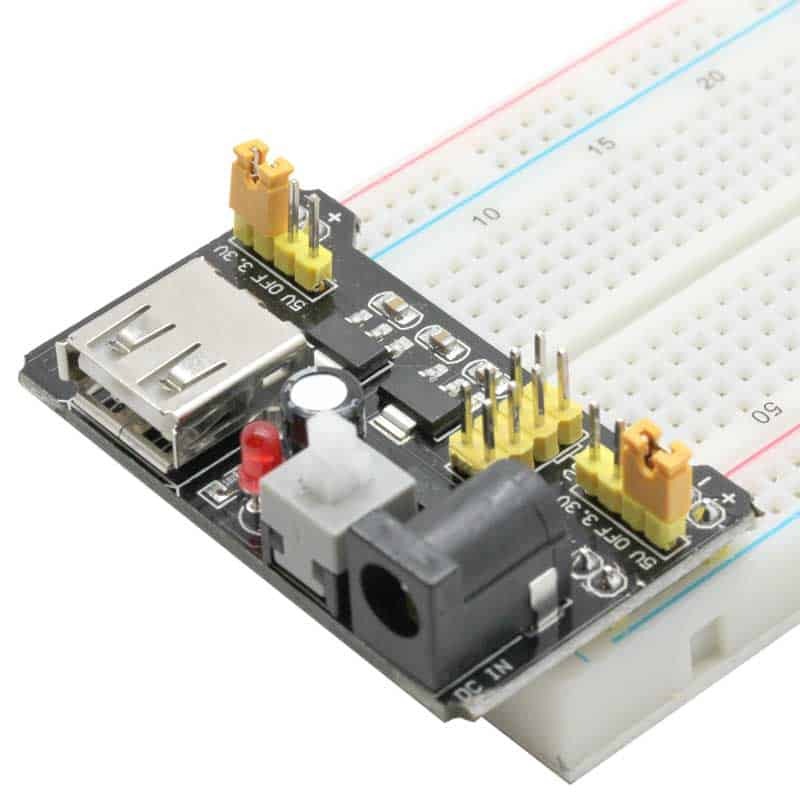 The DC power jack is a 2.1mm barrel connector and easily matches any industry standard DC wall adapter or to our economically priced 12v 2A DC Wall Adapter (sold separately). 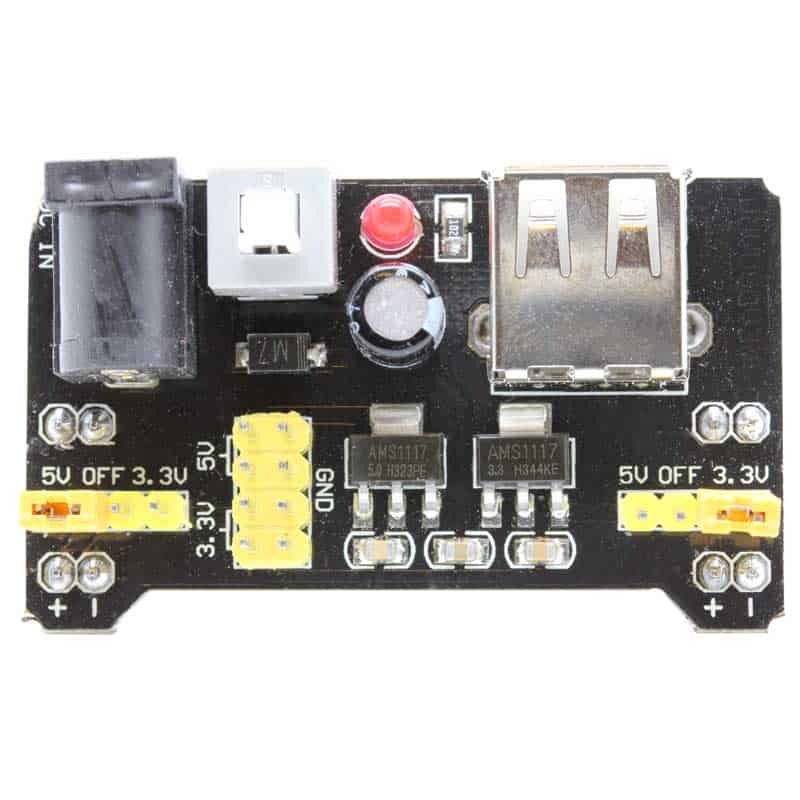 Power can be disconnect from the circuits through the onboard push button and illuminates the onboard LED power indicator when turned on. 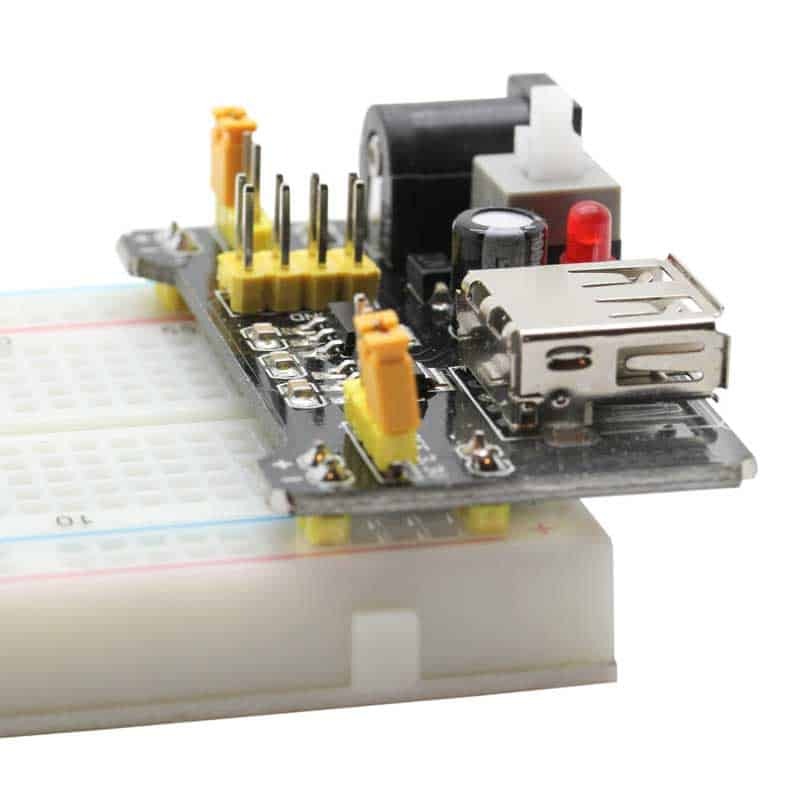 The board also features a USB port, which allows connection to a PC and will supply 5v directly to the board.